Wendy Creighton, RN, BSN, with the Center for Population Health and Aging at the Texas A&M School of Public Health, discusses everything diabetes. She speaks about the different kinds of diabetes and risk factors as well as various management techniques. 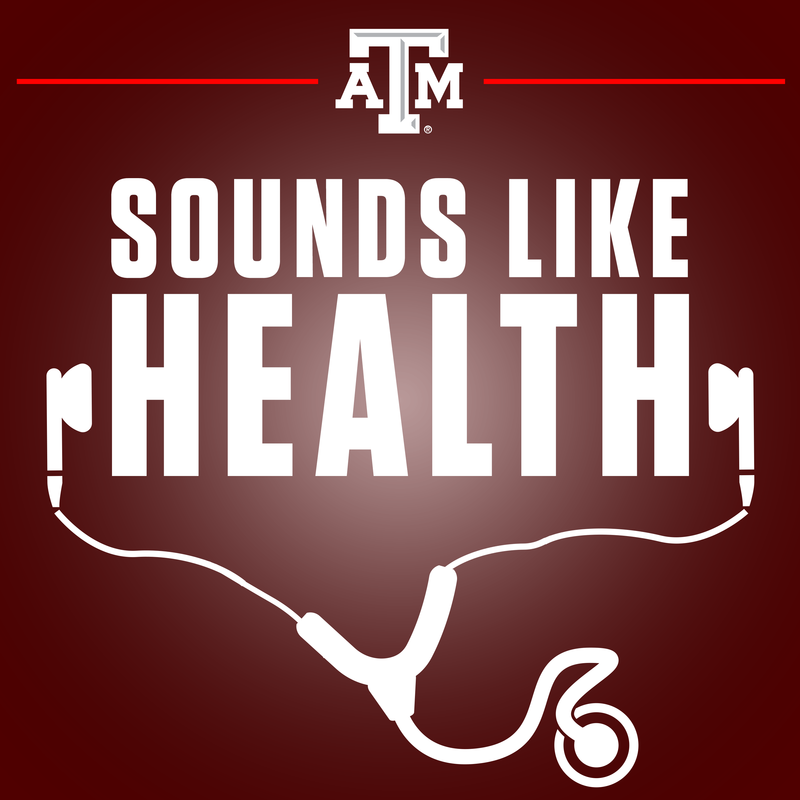 Mary Leigh Meyer: Howdy, welcome to Sounds Like Health, this is Mary Leigh Meyer. Sam Craft: I’m your co-host Sam Craft. Mary Leigh Meyer: And we’re here with registered nurse Ms. Wendy Creighton from the School of Public Health. Thanks for joining us. Wendy Creighton: Thank you for having me today. I work with the Center for Population Health and Aging through the School of Public Health. Mary Leigh Meyer: Perfect, so I guess we’ll get started. There are multiple types of diabetes. Is that correct? Wendy Creighton: Right, yes, so there’s several types. There’s what we call pre-diabetes, there’s type I diabetes, type II diabetes, and then gestational diabetes. So, pre-diabetes is something that we have talked a lot about recently. It’s kind of that term in which we bring up a lot lately. And the reason is is because pre-diabetes is a condition that can occur while you don’t even realize you have it. So you could be sitting here, actually 9 out of 10 people who have pre-diabetes don’t even know they have it. Symptoms are pretty much unknown. And it really occurs over time. So pre-diabetes is basically when people have blood sugars that are above normal, but are not high enough to be diabetic, in that diabetic range or to have diabetes. Mary Leigh Meyer: So just like hinting at they’re about to develop diabetes. Wendy Creighton: Right. And some of the risk factors for that would be sedentary life style, so not exercising or sitting at your desk all day, and not being active. And then the other risk for that is obesity. So one of the things that we really try to stress is to have people become more active. And the American Diabetes Association recommends that people who have pre-diabetes or any type of diabetes exercise 150 minutes a week. So that equates to about 30 minutes five to six times a week. And then the other thing that we try to recommend people to do is to lose about five to seven percent of their body weight. Which people think, “Oh, well how much is that?” Well, if you weigh 200 pounds, you’re looking at 10 to 15 pounds. So it’s not really that much weight, when you think about it, and it’s really doable. And I think that’s what we have to really encourage people to understand is that this is not some huge thing that we’re, that you’re required to do. It’s just to make these small changes to really make a difference. And the wonderful thing about pre-diabetes, if there is a wonderful thing, is that pre-diabetes is reversible. So if you can manage your weight and you can exercise you can prevent it going into diabetes. So pre-diabetes is like that precursor to diabetes. Mary Leigh Meyer: And is the exercise recommended because it has those weight loss benefits? Or is it because of all the health benefits that exercise comes with? Wendy Creighton: Both, really. So not only do you lose weight when you exercise, but you can lower your blood sugar. You lower your blood sugar through exercise and weight loss. And then the other thing too is, when you are exercising, you tend to hydrate yourself a little bit more. When you hydrate yourself, you can have a lower blood sugar, too. So those are some things that we recommend people to do. Sam Craft: So the other types, I know there’s I and II, that’s the type of diabetes I’ve always heard, is I and II. I actually live with a roommate of mine, he had the insulin pump, ’cause he just lived with the pump. Is I you’re born with it and II is it’s brought on by other factors in life or is it just a bad lifestyle? Can you go into that explanation of some? Wendy Creighton: Right, yes, sure. So type I diabetes, you’re correct on that. So type I diabetes is going to be the type that you are either born with or you can have an auto immune disorder. They don’t really know what causes type I diabetes. They’re thinking that what happens is your pancreas, which creates insulin, it’s an organ in your body, it creates insulin. And what insulin does is insulin helps lower blood sugar. So when you eat a piece of food, say a piece of bread, for instance. You chew it up, you swallow it, it goes to your stomach, and then it gets absorbed into the blood stream. Well, in order for it to get moved from the blood stream into the cells, the cells need energy and they get that from the food that you eat. But if it’s in the blood stream, it has to get to the cells. Insulin is the transporter. So it moves the sugar from the blood stream into the cells. So if you don’t have enough insulin, then the blood sugar, that sugar in the blood, isn’t gonna get moved into the cells where it needs to go. So then here you are with high blood sugar, which is called hyperglycemia. Sam Craft: It’s really lazy organs, it sounds like. Wendy Creighton: Yes, well what happens is, you have these little cells called beta cells on the pancreas. That may be too technical, but that produces the insulin. And if the beta cells aren’t functioning properly, then there’s not gonna be enough insulin that’s supplied. And if you have an autoimmune disorder, what can happen is your body can attack those beta cells and it shuts down those beta cells from producing insulin. Sam Craft: So with type I, are you not born without those beta cells? Or is it just some other factor affecting those beta cells? Wendy Creighton: Right, well, you can be born the beta cells, and then over time, the body destroys it. And at some point over time, your body will not, your pancreas will not make any more insulin. Wendy Creighton: And that is why people who have type I diabetes, have to have insulin for their entire life. They don’t take pills, they take injections. And they need that in order to sustain life. They need the insulin to sustain life. Sam Craft: So in today’s world of fast food and just our lifestyles in general, is type II really the one you see the most? Or is there any numbers that say type I is way more prevalent than type II or anything like that? Wendy Creighton: Yes. So the majority of people who have diabetes, have type II diabetes. Type I diabetes is only found in approximately five percent of the people who have diabetes. Wendy Creighton: Five percent. So the majority of the people that have diabetes, have type II. And type I diabetes can be diagnosed most likely in childhood, but can be diagnosed, as an adult. A lot of people thing that, “Oh, it’s called juvenile diabetes.” You’ve heard that term before, I don’t know if you have. But it used to be called juvenile diabetes, and it used to be, people think, “Oh, well you can only get that when you’re a child.” But that’s not the case. It can be diagnosed in adulthood, as well. Mary Leigh Meyer: And that has nothing to do with lifestyle, diet. It’s just random? Mary Leigh Meyer: By chance. Wendy Creighton: Well what they’re saying the risk factors for those would be, for type I diabetes would be if you have a relative, a close relative that has had type I diabetes, in the past. Mary Leigh Meyer: Type I.
Wendy Creighton: Type I diabetes. That that could be a risk factor, as well. Sam Craft: Can you go into more about type II. Sam Craft: It really, it being the most prevalent one. ‘Cause there’s all this research, and I guess the health campaigns now are diabetes, diabetes, diabetes. I didn’t realize it was just five percent that it’s just not naturally occurring. So it really is the way we live our lives that’s really affecting this diabetes crisis. Wendy Creighton: Right, right. So type II diabetes is caused by another reason, or what happens there is your pancreas makes insulin, and it goes to, that insulin will pull that sugar from the blood stream. But what happens is your body, your cells, can be resistant to that insulin. So I like to think of it as your cells being a house and the insulin is the key. Well in order to get into the house, you have to unlock your doors to get in. Well if that insulin, which is the key, is not able to get into that lock, and say the lock is malfunctioning, then you can’t get into that house. So it’s the same thing with blood sugar, with the glucose. The sugar in your blood gets trapped there, unless the key is able to turn and move that glucose from the blood stream into the cells. So the cell becomes a little bit resistant to that. It may be that that lock isn’t working very well. So that causes the cells to not be able to uptake that glucose, so it still sits in that bloodstream and it’s trapped. So that’s one of the causes of type II diabetes. So some of the risk factors for type II diabetes would be age. If you are over the age of 45, you have a higher risk. Ethnicity, so if you are African American, Hispanic, Native American or Asian American, you can be at higher risk, as well. And then some other things, if you have had a history of gestational diabetes, so that would be females who have had diabetes or been diagnosed with diabetes in pregnancy, that would be considered gestational diabetes. If you have had that during pregnancy, you are 50 percent more likely to get type II diabetes down the road. Mary Leigh Meyer: Oh wow. Wendy Creighton: Yes so, we really try to mention that as an important risk factor. Wendy Creighton: Right, so it’s interesting because, as we look at studies from obesity and, you know obesity studies along with people who have had diabetes in the past, we see this trend that as obesity rises, so does diabetes. And it has to do with that resistance factor of insulin. And so as people begin to gain weight and become sedentary, that is how they are more likely to get type II diabetes. So when you also think about it, as our children are growing up and they are more sedentary, they tend to gain weight because they are not active. They don’t go outside. They play video games. They aren’t out riding their bike or climbing trees, or doing whatever it is, then they are also at greater risk for type II diabetes. Sam Craft: From the food aspect of things, most people that are obese or overweight tend to eat junk food, worse food. I guess it goes without saying, are there better foods to help keep you away from type II diabetes, as far as fat content, or cholesterol? I know junk food is junk food, but specifically, the actual content of said food. I mean, sugar is obviously there. Sam Craft: Along those lines, is there anything that we should watch out for? Sam Craft: Even if you’re a small, healthy person and you’re over 45 and you eat really bad, you’re still at risk, right? Wendy Creighton: I don’t know if there’s a super food for diabetes, but one of the things that we teach in our class is called the plate method. And what the plate methods entails is to have a half of your plate, so if you were to take a plate and divide it into quarters. Half of your plate should be filled with vegetables, and some fruit. And then a quarter of it should be filled with protein and a quarter of it should be filled with carbohydrates. And we really like to emphasize complex carbohydrates. Carbohydrates that have whole grains, that have fiber. Because those foods can lower blood sugar and also make you feel full. So, if you have foods that are really high in simple carbohydrates, the donuts and the pizzas and the sodas, those types of foods are going to increase blood sugar very quickly, because they are metabolized very quickly into the blood stream. And then you tend to have this fall of blood sugar. So we really recommend that you eat high fiber diets. That can help with diabetes. Sam Craft: So we’re talking about food, and we said the sugar in food. This always kinda gets me. To me, there’s a misconception that if I eat a bunch of sugary foods, I’m gonna get diabetes. Well it’s not so much the sugar that you’re eating in the foods, it’s just quantity of junk, I mean the non-quality of carbs and the other stuff that you’re getting- the nutrients are not as good. Sam Craft: Is that really the main cause of it? Wendy Creighton: Well, I wouldn’t say that that’s the main cause. The main cause is going to be sedentary lifestyle, and obesity. Sam Craft: Okay, so it all comes together into one big package, okay. Wendy Creighton: So one of the most important things that you can do if you have type II diabetes is exercise and lose five to seven percent of your body weight. And that’s across the board. Along within, again, medications and eating healthier foods, and monitoring your blood sugar. So that is one of the really important. Those two important aspects of diabetes are, I think are key. Mary Leigh Meyer: And what about fruits? Don’t some fruits have a lot of carbohydrates? Mary Leigh Meyer: But those are good? Wendy Creighton: Well, some of those, you have to eat those in moderation. They do have carbohydrates. Sam Craft: Avocado is good fat. Wendy Creighton: Right, it is good fat. Wendy Creighton: Right, in moderation. So we really stress in our classes to really make sure that you can have a fruit, but what consists of a carbohydrate serving? So we emphasize, we teach carbohydrate counting. And what is a carbohydrate? A carbohydrate is a macronutrient that we have to have to sustain life. But it doesn’t mean that that’s all we eat. We need to eat a variety of foods, but teaching people what a carbohydrate is and then how much to consume throughout the day will really open people’s eyes and make you think, “Okay, well I can have a fruit, I just have to recognize that that fruit has 15 or a couple of carbohydrate servings, and so I can have a banana or half a banana, or… ” You know, who can eat half a banana? Sam Craft: It’s so hard to think of food like that. Sam Craft: I mean, just dealing with it, that I have, I think it’s hard to break down your food into a mathematical equation for the day. I think that’s the hardest thing for me. Wendy Creighton: Well it’s very eye opening, though, because it really makes you pay attention. And that’s the overall goal is to help people pay attention to what their eating, and to make small changes. It’s not about making these huge changes. It’s about doing it slowly at a time. A little at a time. Sam Craft: Have you been to a dietitian at all, Mary Leigh? Sam Craft: So, I recently went to one, and she has these vials of sugar placed out. And I was like, “What are these?” And for each one was, this is how much sugar is in this, and this is how much sugar is in this. If you ever get a chance, look it up online. It is the scariest thing you will ever see. It will make you think about what you eat and how much you intake of it. Sam Craft: It’s just so scary. Mary Leigh Meyer: But I’m quite happy in my blissful ignorance. Wendy Creighton: So it’s interesting that you bring that up, because one of the things that we bring up heavily is the terms or the saying “rethink your drink.” So instead of drinking soda and juices, which are very high in sugar, we really try to emphasize, all right, well, go to water or switch to drinks that have no sugar, whether that’s diet soda or no fruit juices at all. Because when you think about your drink, you can have a 20-ounce soda and you could have 60 carbs. That is a meal. The amount of carbohydrates, right the sugar, the amount of carbohydrates in that one 20-ounce soda is considered how many carbohydrates you can have in a meal. So, that is, and not only that, think of the cost savings, right? Hey. So, yes, that is something to consider. So one thing that I wanted to mention is to talk a little bit about what a carbohydrate is. So a carbohydrate can also be known as a sugar, or a glucose. It gets broken down into the body as sugar or glucose. So sugar and glucose are used interchangeably. Mary Leigh Meyer: So for the people living with diabetes, are there any health risks that are associated with having diabetes? You know, are there any doctors people should try to go see regularly now that they are diagnosed with diabetes? Wendy Creighton: Yes, so we usually try to make sure that people who have diabetes go to their physician every quarter to have their labs drawn, to make sure that their blood sugars are within a certain range. We usually tell people that if they have a hemoglobin A1C, which is a technical term for the average amount of, an average blood sugar reading over a three-month period of time, should be less than seven percent. And a lot of people who have diabetes, that’s the magic number. So going to the doctor regularly to get those numbers, those labs checked. Go to possibly an endocrinologist if you have type I diabetes, or even if you have type II diabetes for a long period of time. An endocrinologist is physician who specializes in endocrine problems, or problems with hormones, and different things like that. So especially with diabetes. They specialize in diabetes. So we recommend that. Also having people go see a podiatrist, or foot doctor one to two times a year to make sure that their feet are able to be inspected, and that, especially if they can’t look at their feet. Another doctor that people with diabetes should see regularly is an ophthalmologist, or an eye doctor. Because diabetes can lead to blindness due to complications in the long run. And that can be something that certainly you would want to address. Sam Craft: I’ve never heard that before. I’ve never heard- it’s always been for me, it’s always been, “I can’t feel my feet,” or, “I lose my feet.” I didn’t know it was your eyes. I mean, what else can be affected? Wendy Creighton: Pretty much everything. And the reason is is because I like to look at it is that diabetes is a vascular problem. Because blood sugar is, sugar or glucose is in the blood at high levels all the time, it can cause all kinds of complications in the blood stream, in the arteries, in the vasculature. So anything that has to do with your heart, so it increases your risk for having a heart attack. It increases your risk for having a stroke. Diabetes can also affect the retina in your eye due to high pressures in the eye, which can cause blindness. And that is why you need to see an ophthalmologist, or an eye doctor once a year if you have diabetes. Mary Leigh Meyer: So as we wrap up, I think my biggest takeaway is with type I, it’s something you can be born with. It has nothing to do with people’s lifestyle, unlike type II, which has everything to do with people’s lifestyle. Sam Craft: If it’s 95 percent of people have type II diabetes. That is unbelievable. Mary Leigh Meyer: As we wrap up, can you tell us a little bit about what people need to be on the look out for? What kind of symptoms would first manifest? Wendy Creighton: Right, and this can be for type I or type II diabetes. Typically, people will notice that they have increased thirst. They get super thirsty, and all they can do is drink. And then they may have an increased appetite. So they may be eating normal, and then they just continue to eat, because what’s happening is the blood sugar is staying high in the blood stream, and it can’t get to those cells. So it causes you to be hungry. The other thing is increased urination, or having to go to the bathroom a lot. So you may find that you’re drinking so much, but you’re having to go to the bathroom all the time. You may be fatigued, irritable, because your body is trying to compensate for these problems. So those are some of the, those are the major symptoms of type I or type II diabetes. Sam Craft: One more time, what’s the best way to prevent type II diabetes? Wendy Creighton: So type II diabetes is most preventable if you exercise and you maintain a healthy weight. So that would be, and by going to the doctor. If you can go to the doctor and get your annual checkups and get your blood work done and get your labs taken care of, and you know where you stand and your doctor can be on top of that, then that’s another really key part. Mary Leigh Meyer: Well that was some good information. Hopefully people understand a little bit more about what to look out for and if you haven’t had your annual check-up, go get tested, it can save a lot of trouble in the future. Thank you for being here. Wendy Creighton: Thank you so much. I had a great time. Sam Craft: Really enjoyed the time here. Appreciate it. Mary Leigh Meyer: And thank you for listening to Sounds Like Health.